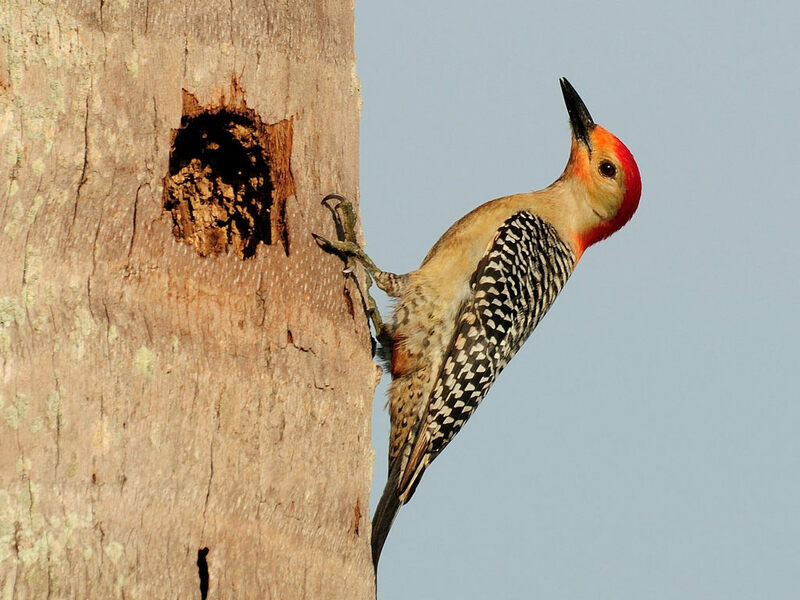 A dead palm tree on a vacant lot down the street has attracted a pair of Red-bellied Woodpeckers who have decided to nest there. It may not be a good choice since the owners have just had a dock and boat lift installed which means that a house will be going up there soon. You can see that they have pretty well smoothed the bark around the hole and I could see that they were still working on excavation. 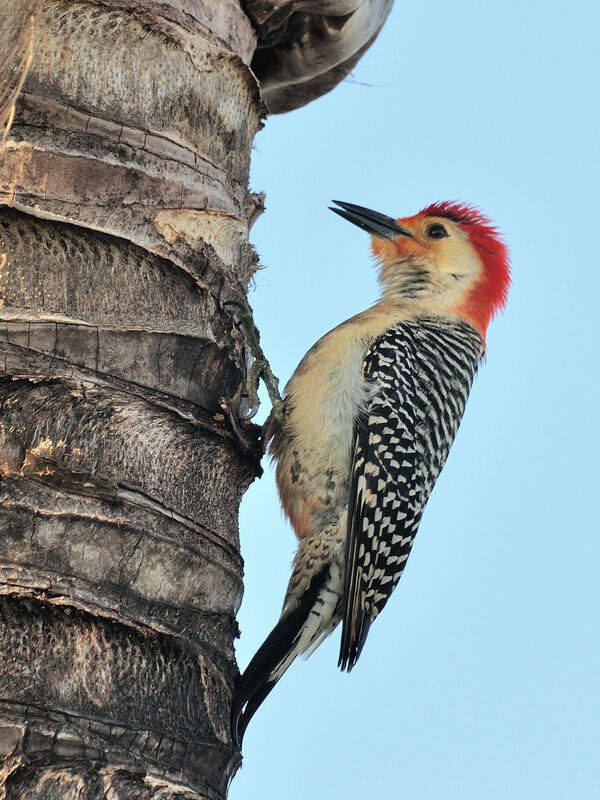 You can tell the difference between the male and female by the amount of red on their head. The males coloring is more extensive and includes some read feathering around the beak. The female carries her coloring further back on the head. Here, the male is on the left and the female on the right. They are both looking for food in the ruff of a living palm next to the dead one in which they are nesting. I hope I’ll get to see some young ones before long. 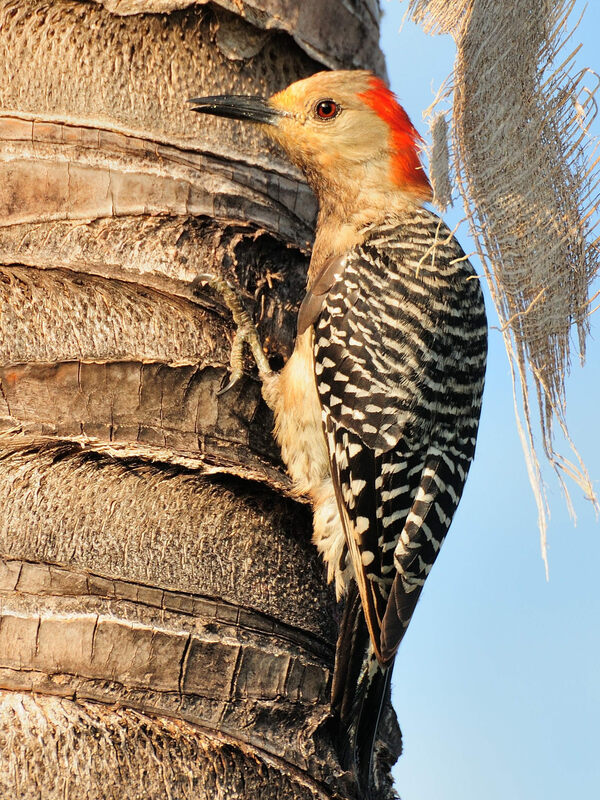 This entry was posted in animal behavior, Bird and tagged 70-300mm VR, difference, FL, Gender, Nikon D90, Punta Gorda, Red bellied, Woodpecker. Bookmark the permalink.